You are here: Home / Style & Lifestyle / DIY & Design / Bring it out! Days are getting longer and warmer. 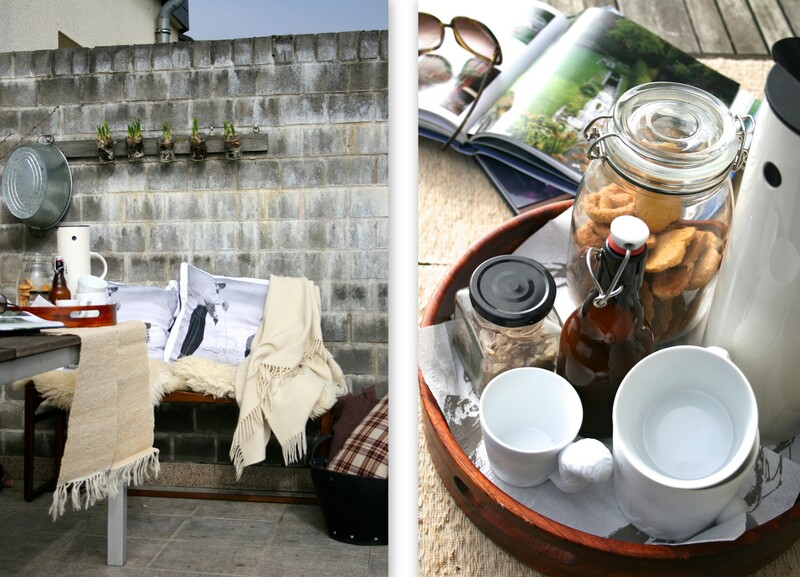 Bring blankets, pillows, flowers and a cuppa something out to your terrace or garden and feel the energy level rise. I’ve decided to use my winter fabrics and pillows one more time before they get stowed away until winter comes again. 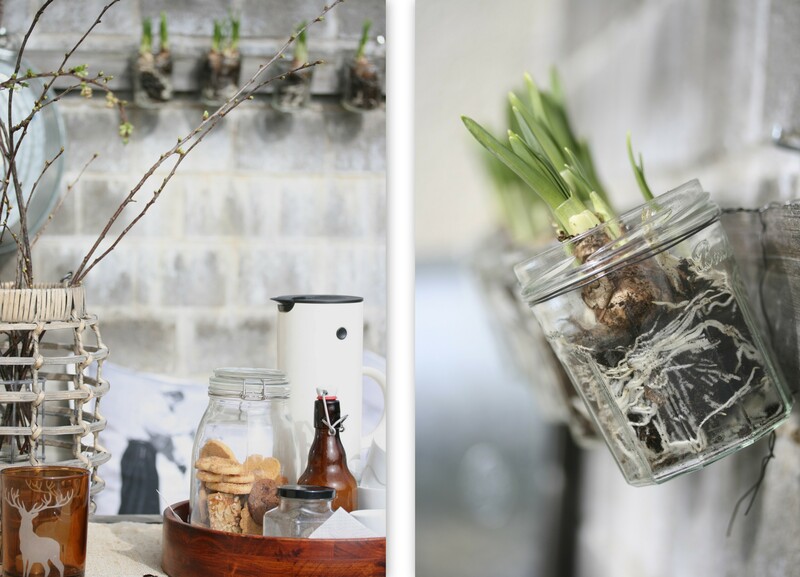 Love the idea with the glass jars!